My dream house would have a large kitchen at the back of the house, extended with a conservatory so that the light could flood in and the whole room could open out onto the garden. Living in my flat with two floor to ceiling walls of glass in our living room I have got very fond of ALL the light and views across London. However, all that glass can have its downsides as the light can be blinding, especially in the summer, it can let in too much heat and we are very overlooked and feel a little on display at times. 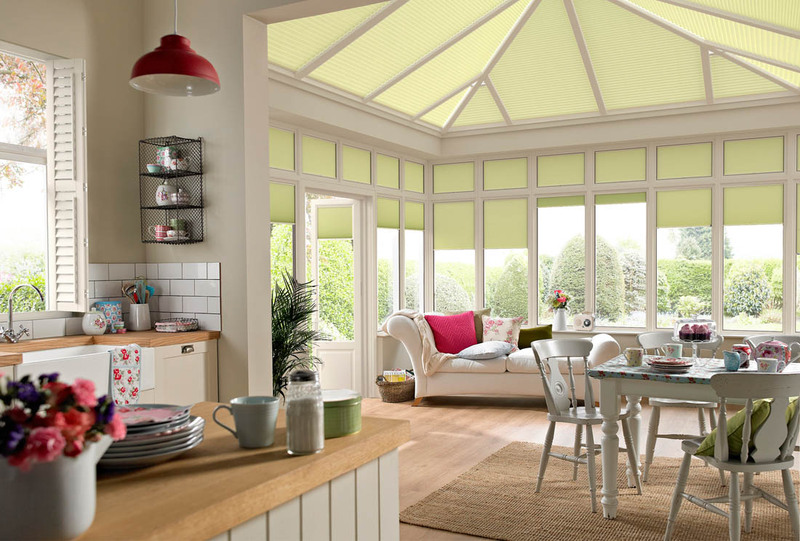 If you have a conservatory you may experience some of the same issues, which is why conservatory blinds are essential. I’ve teamed up with Thomas Sanderson today, who specialise in quality blinds and shutters, to give you some ideas about how to make the best of your space and transform your conservatory into a room you can use all year round. If you think of your conservatory as an ‘add-on’ it will feel and look that way. You need to create a flow between your rooms using the same flooring, window coverings and colour scheme so that your extra room is a seamless extension to the rest of the house. The floor covering in the room above extends into the conservatory so there is no break between the two rooms. The colour of the blinds in the conservatory blends in really well with the colour scheme of the room overall making it feel cohesive and welcoming. To ensure that you can use the room all year round you need to think very carefully about how to control the heat and light. Shutters (my favourite!) add a bit of style to a conservatory. 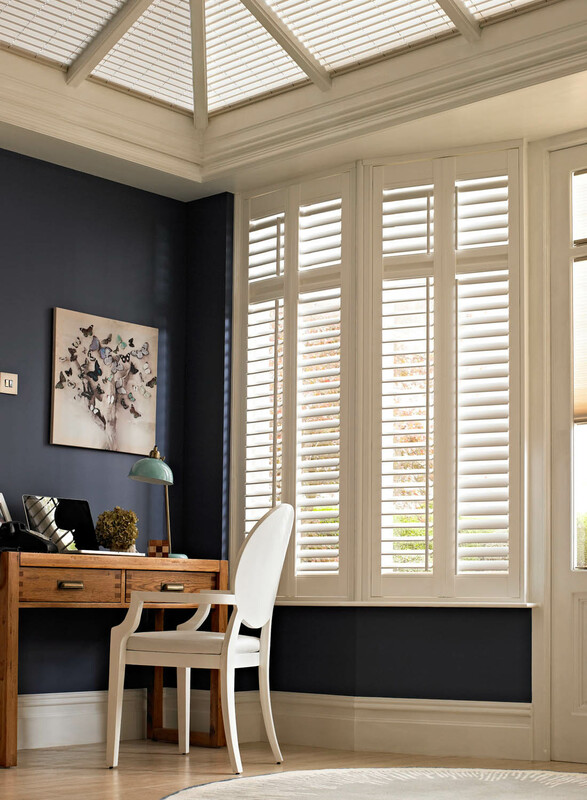 The LifeTime shutter, exclusively from Thomas Sanderson, has been engineered from hard-wearing, lightweight PVCu. They are durable and guaranteed never to distort, crack, chip or fade and come with a 25 year guarantee. LifeTime shutters protect a conservatory from excessive heat and glare in summer, provide instant noise reduction and offer the greatest insulation during the colder winter months. I just love how smart they look. 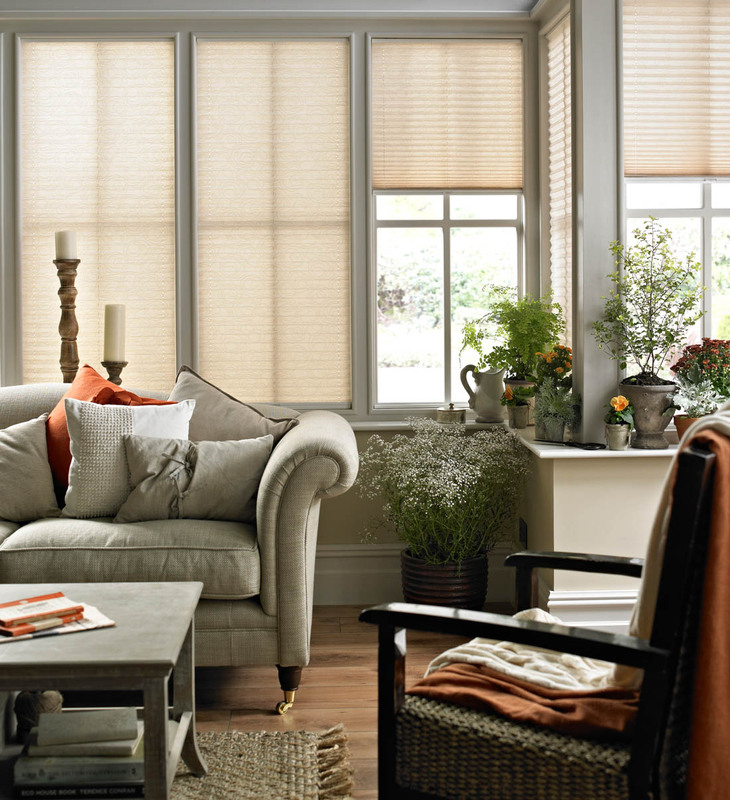 If you prefer blinds to shutters, Duette® blinds can help to keep conservatories at a constant temperature throughout the year. Tests have shown that they can reflect up to 78% of the sun’s warmth, retain heat by up to 46% and save on energy bills by around 25%. They also block up to 99% of UV rays, which helps to protect furniture and wallpaper from fading, keeping them looking newer for longer (my friend had a pink sofa in her conservatory and after one summer it was completely bleached by the sun!). 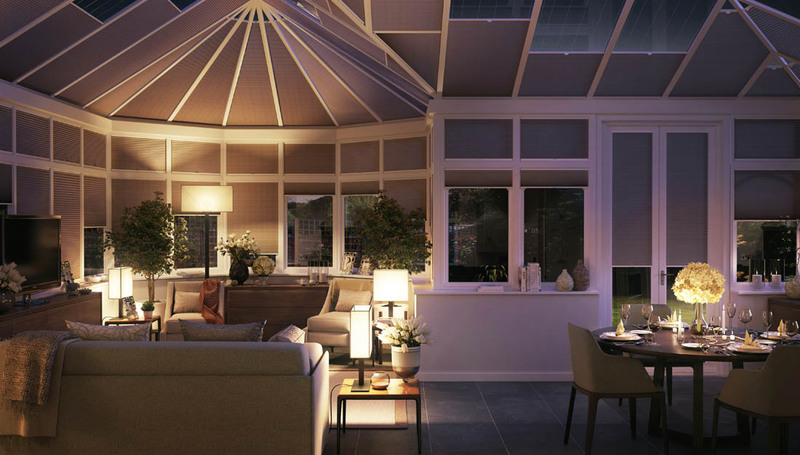 To make the most of your conservatory in the evenings blinds can make a room feel really cosy and not like a conservatory by creating the feel of a solid wall. If you are overlooked this can also make you feel more secure. Lighting is a really important factor in making the room feel welcoming in the evening. Make sure you use soft lighting and lamps, as you would in any other room in the house, so that you can continue to enjoy the room at night time. This is very important if you want to make full use of this space. If it is unclear what the room is used for or it feels more like a passageway to another room than a room in itself, it will go to waste. Once you have decided its purpose, invest in furniture that will help serve its purpose well. For example, if you want your conservatory to be a sitting room you need a proper sofa that will encourage people to sit there, rather than a couple of spare garden chairs. Add a rug, coffee table and ornaments to make it feel like a real room. Flood your conservatory with plants to help bring the outdoors in and make it a beautiful space. Particular plants thrive in the light and warmth of conservatories but you don’t want it to become a tropical rainforest in the summer and freezing cold in winter. Roof blinds can reduce heat loss in winter and heat gain in summer and Thomas Sanderson’s exclusive integral fabric control with pleat equalisation allows blinds to lay flat in the roof to give a uniform look with no sagging. 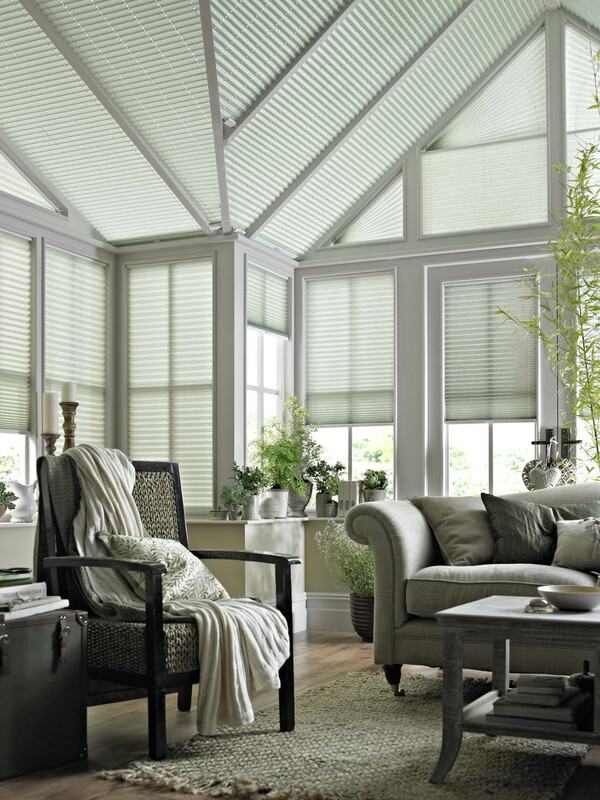 Pleated roof blinds with Solartex stop marking from bugs and the non-metallic backing lets the light in but without the glare to give a lovely glow and diffused light that your plants will love. *This post was written in collaboration with Thomas Sanderson. I’d love shutters like that in my conservatory but I worry they block out too much of the view – what do you think? This post was very appropriate as we are redecorating our kitchen and conservatory. They flow into one another and I plan for the flooring to be the main feature that helps bring them both together. Based on your post I am now also going to keep the same decorating/painting theme throughout. Question – do you think it would work to have the walls and ceilings in exactly the same colour? Having the same flooring from one room to the other is a great start. As for paint colours, I think it very much depends on what colour you are going for as to whether using exactly the same colour on walls and ceilings will work well. 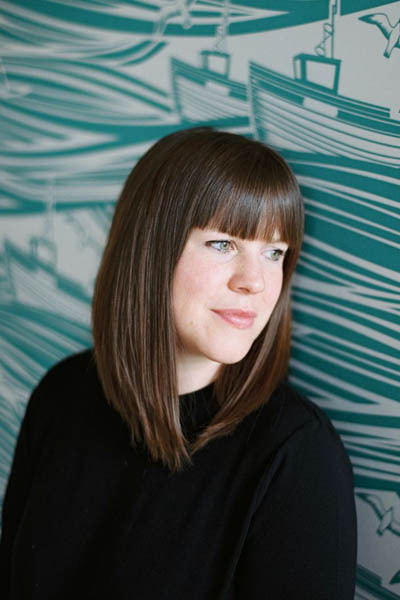 Generally, I like to use a different colour for the ceiling/skirting boards/window frames as this helps emphasise period features – if you have them – and give the room definition. But, as I say, it very much depends on the type of room and colour you intend to use. This is a great post, I think it is really important that you create a sense flow between rooms if you do have an extension, as you want to create a homey feel.